Join our guides here in Big Sky, Montana for year-round fun! In the Summer, choose from a variety of activities, including horseback riding and four-wheeling. In the Winter, join us for our snowmobile tours, or take our machines out on your own to enjoy our gorgeous backyard. With any of our options, all ability levels are welcome! Summer Fun: Horseback rides are one, two or three hours. We cater to your needs and welcome children, 6 years old and up. Great views of the Gallatin Canyon as you ride in the Porcupine Game Range. 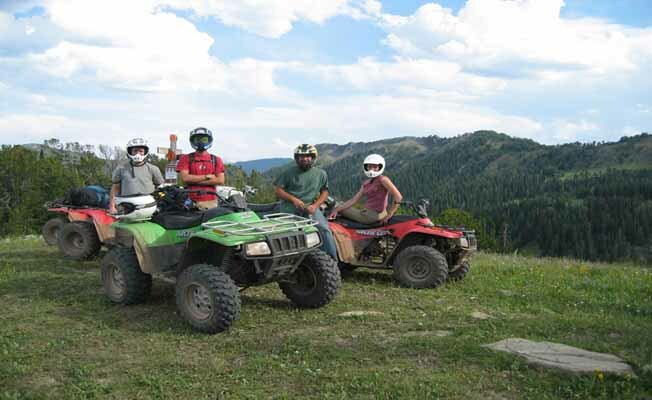 Check out our website: montanacanyonadventures.com ATV rentals leave from our front door. Trail system takes you up to Buck Creek Ridge. Breath taking views, climbing up to 10,000 feet elevation.